Day 4 of the 2017 Australian Open saw the third quarter of the draw receive a big shake-up with the loss of three seeds including the number three player in the world, Agnieszka Radwanska. Step forward, Mirjana Lucic-Baroni who claimed yet another high-profile scalp with a dominant 6-3 6-2 victory, winning the last six games of the match. Loved these quotes from Mirjana. “I came out there to win the match. I wasn’t there to look around. I’m way too old and been around way too long to just gain experience." Lucic-Baroni will play Maria Sakkari in a bonkers third rounder of opportunities. Sakkari defeated the Brisbane finalist, Alizé Cornet, 7-5 4-6 6-1. Sakkari is into the third round of a Slam for the first time in her career while in her ninth appearance in the Australian Open main draw, Lucic-Baroni has also broken new ground. Everyone was prepared for OstaPoots, aka Jelena Ostapenko v Yulia Putintseva. With 28 winners, Ostapenko routs Putintseva 6-3, 6-1 — with minimal shenanigans. I feel cheated. The most dramatic match of the day saw Jennifer Brady pull off a huge win, saving match points to beat Heather Watson, 10-8 in a third set. A stunning moment for Brady who gets Elena Vesnina in the third round. Wow. Qualifier Jennifer Brady hits 13 aces & saves 5 MPs to beat Watson, 26 76(3) 10-8. Hev served for the match in the 2nd set. The only all-seeded match-up from the third quarter is perhaps one that seemed unlikely with Daria Gavrilova set to play Timea Bacsinszky. Gavrilova had a stirring win over Ana Konjuh, 6-2 1-6 6-4 on Margaret Court Arena. I really did think Konjuh would win that match but huge credit to Gavrilova. Bacsinszky arrived in Melbourne having played no competitive matches in 2017 and having to contend with Camila Giorgi in the first round. The Swiss player is into the third round after edging the Italian in a tight three setter and defeating Danka Kovinic on Thursday, 6-1 7-6(5). The first set was routine but the second was far from it as Bacsinszky saved a set point and recovered a 1-4 deficit in the second set tiebreak. All these developments in the third quarter leave Karolina Pliskova as the overwhelming favourite to reach the semi-finals. The Czech player breezed past Anna Blinkova, 6-0 6-2. In all my time of following tennis, i’ve never seen such a low first serve percentage as for Blinkova in the first set! Pliskova gets Jelena Ostapenko in the third round which is an interesting match and arguably her toughest potential match-up before the semis. Ostapenko looks to be in a new headspace this year and there’s no doubting her flat, fast-paced game, if on song, will give Pliskova a challenge, particularly as the Czech player has sailed past her first two opponents who provided no resistance whatsoever. I did manage to wake up for the first match on Rod Laver Arena where Johanna Konta produced another superb performance to see off the dangerous Naomi Osaka, 6-4 6-2. I really enjoyed this insight from Konta on what makes Osaka tricky to play. Konta will play Caroline Wozniacki in the third round… BRING. IT. ON. The winner of that match will play the winner of another tough third rounder between two seeds, Dominika Cibulkova and Ekaterina Makarova. This section is loaded and all four players would be worthy quarter-finalists. Makarova’s win came via a retirement… get well soon, Sara. Down 2-6 2-3 to Makarova, Errani retires. I’m pleased Lucie gave it her best shot in Thursday’s night match. I think the tough start for Serena has worked in her favour. Serena needed the one break in each set, while Lucie was unable to convert on any of the six break point opportunities she produced. Great match from Safarova. 8 aces, 3 DFs, 24 winners, 16 UFE. 15 aces, 6 DFs, 35 winners, 23 UFE, saved 6/6 BPs. One reporter went home with a note from Serena after the first question from her press conference linked below. Seven out of the eight seeds in the fourth quarter have progressed to the last 32. Barbora Strycova continued her superb start to the year with a 6-0 7-5 victory over Andrea Petkovic, while Caroline Garcia fought from a set down to beat fellow compatriot, Oceane Dodin, 6-7(3) 6-4 6-4. The only unseeded player through is Nicole Gibbs who doesn’t look completely out of place based on some of her results at the start of 2016. Gibbs will get a shot at Serena in the third round. Here’s a preview for my match of the day on Friday between Elina Svitolina and Anastasia Pavlyuchenkova, first up on Margaret Court Arena. There are some decent matches to look forward to on Friday including Ash Barty v Mona Barthel and Svetlana Kuznetsova v Jelena Jankovic. Bouchard-Vandeweghe getting Rod Laver Arena over Kuznetsova-Jankovic is a joke but i’m not surprised. Polls below for my top three matches, all eight can be found in the usual place on the predictions page. An update from Carla Suárez Navarro who is taking a bit of a break from the tour to rest up her shoulder. 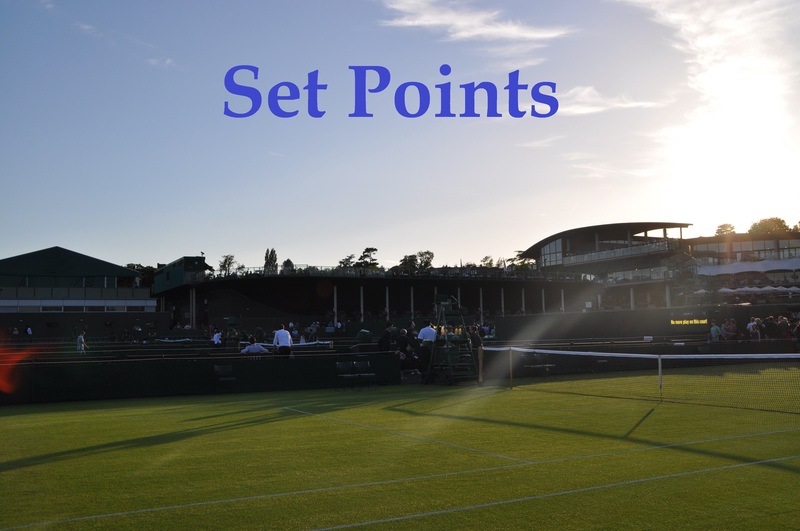 January 19, 2017 in Australian Open, Set Points, WTA. Sad but not that that surprised that Aga lost as her opponent can be a difficult one to play against. That’s another GS fail for Aga but I hope she can do much better at Wimbledon. I was also ( pleasantly ) surprised that Daria Gavrilova won and her next match against Timea Bacsinszky is another one that I would really like to watch but will not be able to. Konta v Caroline Wozniacki should be a good match also. Ostapenko/ Putintseva sounds like it was a bit of an anti climax. Ostapenko could be a dangerous opponent for Pliskova but I think that Pliskova will win. I’m looking forward to Bacsinszky v Gavrilova, should be a good one! Sorry you’re not able to watch. I stayed up for Konta-Osaka last night but sleep wins tonight! Radwanska going out spells great news for Pliskova. Serena’s draw just isn’t getting any easier though. Garcia or Strycova, then Konta/Cibulkova/Makarova/Wozniacki then potentially Pliskova before even reaching the finals! That’s a big ask. I’ll be able to watch matches from Fri to Sun, so really really happy!! Yayy! This first week has been exhausting and cannot wait for the weekend! I would have agreed two years ago, but age is obviously now really a factor and if the quarters and semi’s go to tight 3 setters then she could be gassed out come the final. We’ll have to see. I’m really hoping Garcia can finally break into a fourth round. Her and Strycova played two cracking matches last year. Pliskova’s draw has really opened up along the way although I do think Ostapenko could be a tricky one. Serena’s draw is tough but I think she’s looking good so far. The draw is shaping up nicely! Amazing that the last time she got past the first round of the AO was in 1998; nearly twenty years ago! Good luck to her anyway, and I hope she makes the second week here. Aga seems to be flopping against the taller and bigger-hitting players at the moment. I thought she’d worked it out, keeping the ball low so they couldn’t get traction on their shots. I found it ominous that she said today, as she did after her match in Sydney against Jo Konta, “there wasn’t a lot I could do.” Maybe she needs to work with a sports psychologist (as Carla did after a series of poor results in 2015), to try and shake off this air of fatalism. Ahh thanks for sharing Mirjana’s interview, missed it! Yeah not a very encouraging start to the year for Aga despite making the final in Sydney.